Funds are always needed to run the rescue and take care of the dogs. Gift certificates are also greatly appreciated for any of the above needed items. To Get Instructions On Where to Take Donated Items, please Click Here. To view our amazon wishlist click here! Click anywhere on the pictures to donate. We also have a Wish List on Amazon that makes it very easy to give the items we need. Igloos keep the dogs warm and dry in the winter months. 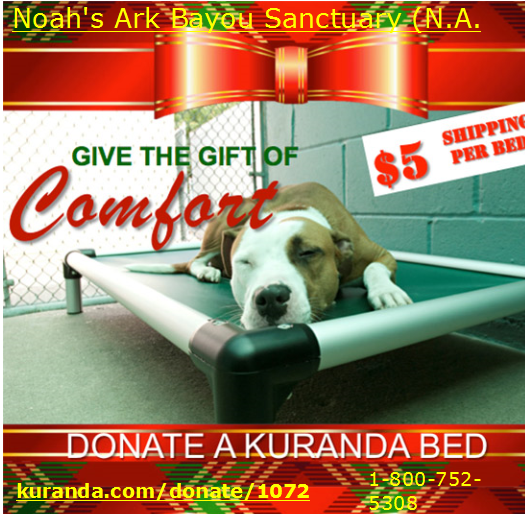 Won't you help keep one dog cozy this winter?